Family, relatives, relations, kin…no matter what you call them, they are the one constant in your life. If your family is like many today, you’re spread out all over. Sure, you can keep in touch through some family newsletters, websites, emails and phone calls. But there’s really nothing that equals that warm and fuzzy feeling you get when you attend a family reunion. So why not host one where family is a priority and big on fun? Being right within the foothills of the Great Smoky Mountains makes Pigeon Forge the perfect family reunion location. Whether you’re planning for 5 or 500, you’ll find great accommodations, attractions, restaurants, and facilities that are family-friendly, affordable and easily accessible. Everyone from your youngest to your oldest reunion attendee will enjoy our attractions and events. 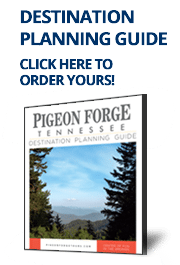 A Pigeon Forge family reunion provides your family with the most opportunities to spend time together and rediscover that family bond.